Cut assembly costs and increase production rates with Assembly and Automation Technology's S-250 Automatic Screwdriver. 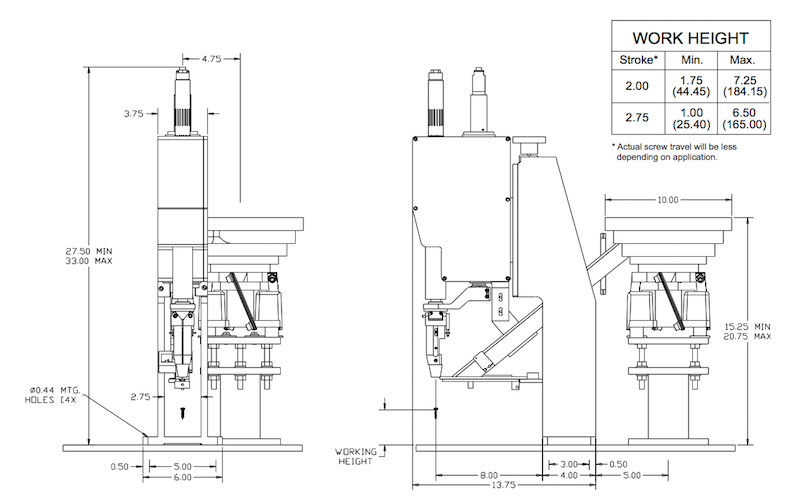 The S-250 offers superior fastening performance for automatic production systems and single work stations. Also available in N-250 Nutdriver configuration. 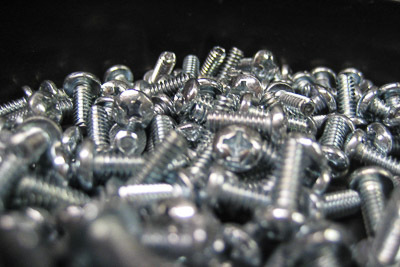 Screws are loaded into a vibratory feeder bowl. The vibratory feeder bowl orients screws automatically and feeds them into a decline track. One screw is escaped at the base of the track and the inserting shuttle load it into the chuck jaws. The drive bit advances, turns, and falls into the screw slot shutting off the drive motor. The driving unit, chuck and screw descend toward the work piece. The screw contacts the work piece and the resulting pressure against the bit starts the drive motor. 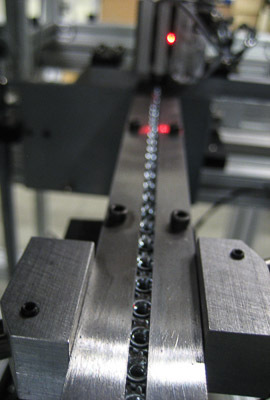 The screw is driven as the driving unit cams open the chuck jaws to clear the screw head. When the desired screw torque or depth is reached, the drive motor automatically shuts off. The S-250 resets to the start position for the next cycle. Systems can be custom designed with single or multiple screw/nut drivers to reduce labor costs, increase productivity and improve quality. Semi and fully automated machines and production lines can incorporate other assembly functions and provide inspection systems to complete your manufacturing requirements. For an example of an automatic system please see Automatic Screwdriver Systems in custom equipment. Assembly & Automation Technology will utilize its decades of experience to provide sample part evaluation, application engineering assistance, and custom tooling design.